Nicky is a qualified reiki master. Nicky also works with different spirit guides including the Goddess Rhiannon. She learnt everything she know in India, but she has developed treatments into her own style. There are many ways to work and Nicky is open to alternative sessions as and when people need the help. Working from the head to feet based on the chakra system the session helps to align and unblock the chakras. Nicky also works with different spirit guides including the Goddess Rhiannon and relies on her guide to help her see clearly where blocks or problems lie and there is always time for feedback on both sides at the end of the healing session. Although Nicky has no professional training in card reading she loves and works a lot with Tarot and Goddess cards and is open to share this love with anyone who wants to receive this session. Seeing the cards simply as a tool or mirror to bring clarity at one specific moment in life rather than for purposes of predicting the future. The journey is a process developed and inspired by Brandon Bays in which deep stored emotions are encouraged or helped to be released from the physical body. It is normally a 2-hour session and although open to anyone can be a very intense experience. Sometimes a person just needs a safe space to talk or share their problems. At times in relationships couples need a mediator. There are many ways to work and Nicky is open to alternative sessions as and when people need the help. Full body relaxing massage with oil. This Swedish massage is a relaxing session helping the person to unblock stress and tension held in the physical body. Two-day introduction courses in massage can also be organized for groups of 3 people or more giving participants the confidence to offer a good full body massage to a friend. 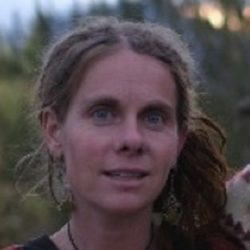 Rhiannon hosts both San Pedro and Ayahuasca ceremonies regularly and works with Bladi and Ruth who carry the tradition of the Chachi people from the North West of Ecuador. Rhiannon also hosts a Vision Quest once per year around the beginning of June. Contact us for more information. Rhiannon is a welsh goddess whose name means divine queen of the fairies. The Story of the Celtic goddess reminds us of the healing power of humor, tears and forgiveness. She is the goddess of movement and change, yet is steadfast and comforts us in times of crisis or loss. Rhiannon was the lunar goddess of fertility and rebirth, transformation, wisdom and magic. She was worshipped under the moonlight. Ultimately Rhiannon is honored for granting the wishes of those who could ask for what they want, and she is known to scorn those who cannot, or will not, ask for what they want.